As systems & apps become more accessible, businesses are capturing more and more data. Why do you collect it and what do you then do with this data? Many SME business leaders are good at making decisions without a lot of information. Making good decisions based on gut feeling becomes harder as the business grows larger and more complex and the business leader is further away from the “front line”. The right data helps overcome the distance from the front line and reduces reliance on people passing on accurate factual information to management. Human nature influences what we tell our bosses. We tend to emphasise the good points and downplay the bad points. As information moves through the layers of an organisation it gets distorted from reality as different people filter information in different ways. To overcome these human tendencies, businesses build data infrastructure. Your data infrastructure are the systems and processes by which you capture data about your business, staff, customers, suppliers and any other stakeholders or critical areas. The aim is to provide a consistent and un-biased view of the business, from high level down into the detail. To what level of detail should we create visibility? Too many businesses only invest enough to get high level information e.g. basic financial statements, revenue only information, overall volumes of products sold. As a business becomes more complex - with multiple products, services, teams, locations, pricing structures etc – the level of detail needed to understand and manage the business well increases. Successful businesses are self-aware businesses, usually with significant detail & insights into many aspects of their business and a focus on understanding the reality – whether good or bad. The deeper your understanding of your business, market and customers, the more likely you will be able to create and manage a high performing business. If you are already collecting lots of data, how do we know which data is the key data and which is secondary in importance? To answer this, you need to have a good understanding of your business model and the key drivers of your business. Your business model is essentially how you create & transfer value to your customers and how you receive value from them in terms of payment. Once you understand both areas well, then deciding what reporting you need will be easier.You then need to work backwards to understand what data needs to be captured to create reporting aligned to your key drivers. Identifying which data to collect and why and then building the data infrastructure to capture the data and output suitable reporting takes a lot of thought, hard work and at least some investment. If you are not prepared to undertake this work, one of your competitors has, is doing so, or will. The business with the most insights (all else being equal) will win. 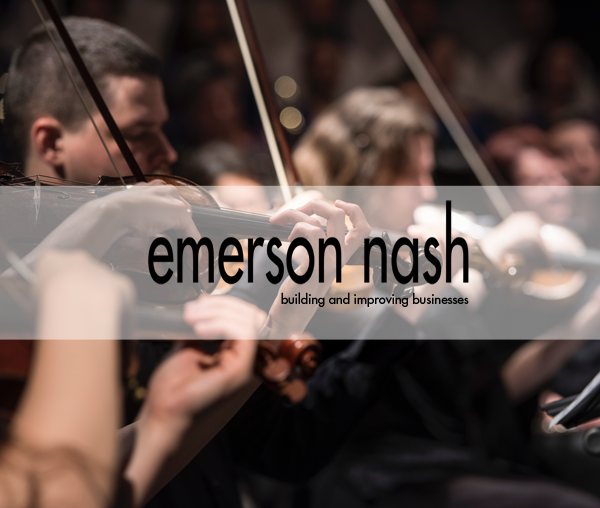 Emerson Nash helps design and build data infrastructure enabling the decision makers to understand what is happening within the business on multiple levels.